Thomas Alva Edison invented the machine in the late 19th century. This special exhibit at Meadow Croft, from a private collection, displays some examples from Edison’s first tin-foil phonograph to today’s iPod player. 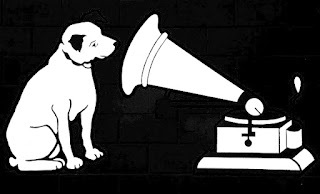 “His Master’s Voice” and the little dog “Nipper”, became the world-famous logo of the RCA Victor Talking Machine Company. The estate is located at 299 Middle Road in Sayville, immediately east of St. Ann’s Church.